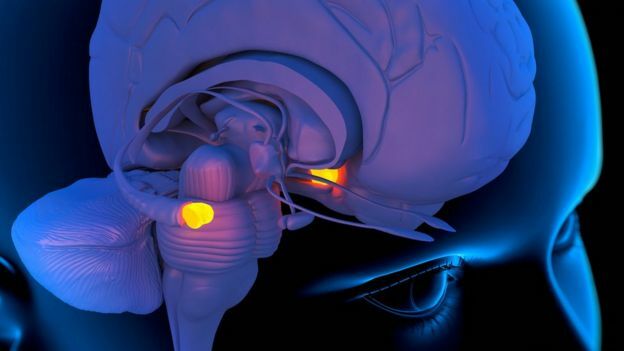 The amygdala is one of the most primitive parts of the brain linked to strong emotions, such as fear and anger. It's the part of the brain that prepares you for fight or flight, becoming activated by strong emotional reactions. The amygdalae (because there are two of them - one on each side of the brain) are almond-shaped groups of cells located deep within the medial temporal lobes of the brain. The term amygdala - which means almond in Latin - was first used in 1819.